I remember seeing Shyam only once in one of my NELTA conference sessions in 2004. I get to see Sajan once a year. I know Prem well but we used to meet on rare occasions before he flew to pursue the doctorate. I have known Mr. Kamal Paudel for the last 15 years, but our regular communication is limited to Facebook chats and telephone conversations. Bal and I have never seen each other. Nelta Choutari brought all of us to personal and professional intimacy. I became a part of Choutari because of my audacity to ask for more work. 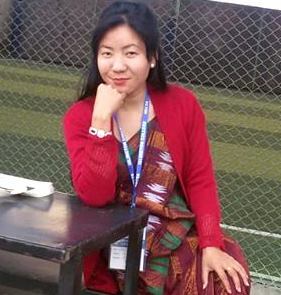 I first expressed the intention to join the team in the 2010 Nelta International Conference, at Little Angels’ College, Lalitpur. A webinar conducted by Mr. Paudel, Prem, and Sajan, featuring Shyam and Bal from USA during their late nights was something for epiphany. The advocacy for professional networks, and of the use of Web 2.0 among the English community, and the mention of Choutari and what its team had by then done gave me a sense of elevation. This happened to be a time while I was almost surreptitiously maintaining a couple of personal blogs, and while only a handful of academics in Nepal were beginning to take note of the worth of owning a platform of this sort. Choutari gradually became an inclusive space with areas as diverse where English played a part as literary criticism, scientific research, travel writing, and teaching. There was little qualm about this multiplicity and the publication of the seemingly extra-ELT texts. But we had agreed upon the value of exploring the human as much as the professional, teacher and learner. Working mainly on the oral history project was the memorable experience in this direction. The interviews sought to bring out the personal stories of English teachers, which at times might have failed to appeal to a wider audience. With what I could collect it was not easy to satisfy certain type of people, the type that expected to hear certain type of English and certain type of opinion. But it was meaningful to have on board people like Gammbhir Man Maskey (Kathmandu) Rajendra Bimal (Janakpur), Prem Subedi (Morang) and Ekku Pun (Dhulikhel). Choutari literally gave me a company of endurably cheeky and competent friends, who did not observe ritualistic courtesies in matters of quality and keep quiet in the urgency to speak. This quality I had developed already in the company of the ‘youngsters’ in the Society of Nepali Writers in English and Literary Association of Nepal. At times, the Choutari Team together thought we hurt ‘senior’ contributors by trying to put things straight. Often we anticipated that some people would stop writing for us. But, we assured one another the authenticity of our collective audacity, the advocacy of openness and quality. And every contributor turned out to be readier to help us. A simple, unpaid blog attained merits of a professional resource site. We had always been maddened by a number of other priorities. But Choutari did not fail to come later than the second day of a new month. This was the result of our friendly non-compromise for delay. We helped and claimed the right to be helped. And we clung to the principle of remaining intact till a good team of volunteers was ready to take the charge. Truly, I was the last person to join the team and nearly became the first to leave, in lack of time. But the team held me around. I am glad I did not drop midway. A lot of people know us by our names and writings. I often happen to surprise a young ELT scholar in our first acquaintance. I feel that people have formed an impression about us different from our faces tell them. Perhaps, we don’t look the way we write and quarrel. I am glad I joined the team of great scholars — cheeky, audacious, resourceful …. I hope the new team will check being too submissive, too compromising and too polite in matters of professional integrity. I wish you all the best for bigger, better Choutari and promise to remain a part as a reader and contributor.